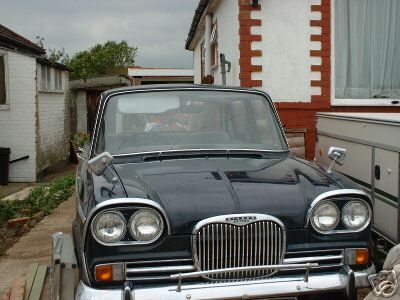 A new Singer model made its debut in 1961, the Hillman Super Minx based Vogue. 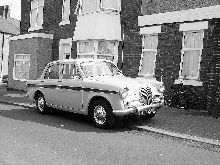 The Vogue offered more luxury than the Hillman and came complete with a very distinctive front grille and extra chrome trim. The elegant body offered better accommodation than the smaller Gazelle along with improved visibility. 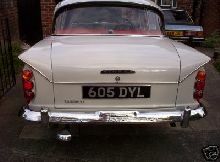 Bodystyles consisted of either a four door saloon or estate. Powered by a 62bhp 1592cc engine the Vogue came with a choice of manual, overdrive or semi-automatic gearboxes. 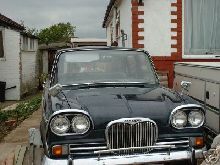 From 1962 a revised Mk II version of the Vogue appeared. The Vogue II now had better front seats, front disc brakes, higher gearing for manual cars and a new automatic gearbox option. 8' 5" 4' 3" 0' 0" 13' 9" 5' 2" 0 (21) 0' 0"